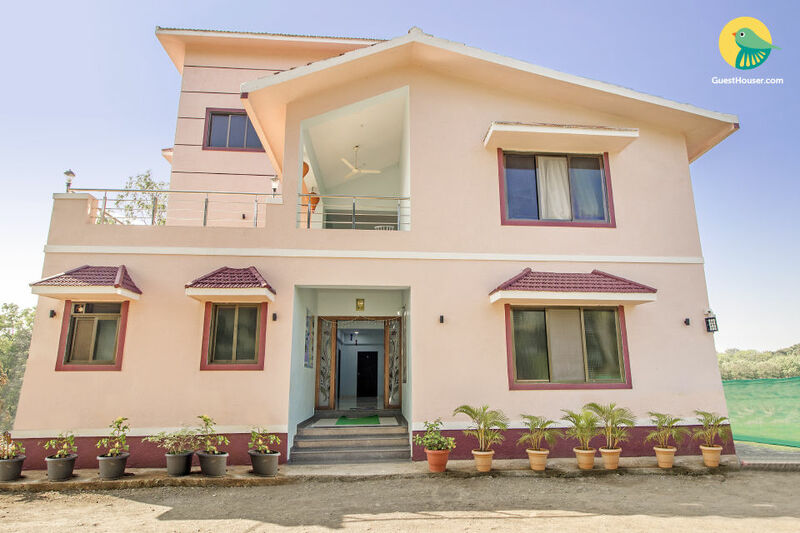 This is an offering of a single room in a peaceful guest house, with a delightful view of the lake, located at a distance of 1 km from Varsoli beach. The room on offer can accommodate up to three people and is ideal for pet lovers who love travelling with their furry friends. 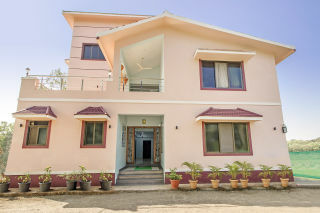 The property overlooks the Varsoli Lake and stands tall against the lush green environs. 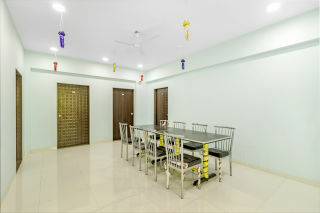 The room forms part of a well-established accommodation and offers delightful views of the adjoining areas. 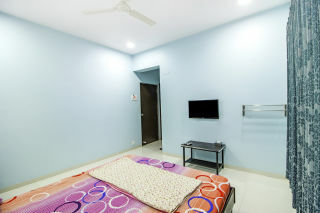 The room on offer boasts vitrified tiles and a soft blue façade. 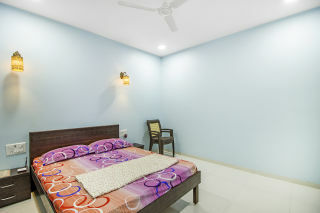 It is comfortably furnished with a double bed, a bedside cabinet, and basic furniture to ensure that you have a delightful stay. Ample windows ensure sufficient daylight and adequate ventilation. 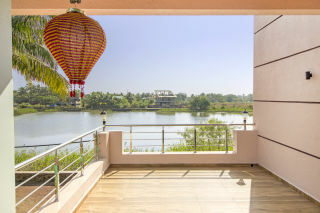 The room opens out to a balcony where you can sit and enjoy a cup of tea, while admiring the expanse of the beautiful lake. The en suite bathroom is well-appointed with western sanitary ware. It is peaceful and calm. Sometimes you can watch beautiful birds especially in morning and evening time. Fishing rod available on request. 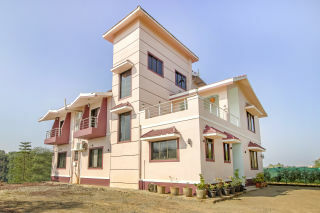 28 km from PEN railway station and 60 km from Panvel station. 110 km from Mumbai airport. Approx 1 km from Alibag bus stand.